Stevenson as teen detective Frank Hardy. 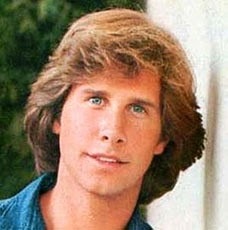 Parker Stevenson can still make ladies swoon. I recently attended the 2014 Western Film Fair, where the star of the The Hardy Boys/Nancy Drew Mysteries (1977-79) was one of the guests. As I rode up the elevator with a mother and daughter, the former was staring off into space. The daughter looked at me, smiled, and said: "Mom is still gooey from meeting Parker Stevenson." As agreeable in real life as he is on the screen, Mr. Stevenson sat down for an interview with yours truly. Café: How did you go from Princeton University to acting? Parker Stevenson: I needed a job (laughs). I graduated from the architecture program at Princeton, but decided I didn't want to keep doing architecture and I really didn't know what to do. I'd been acting since I was 14, doing movies, television, and commercials. Just as I was graduating, I got offered The Hardy Boys, so I made the switch and really committed to acting at that point. Café: How did you get the role of Frank Hardy? PS: I got it because the producers has seen me in a couple of the movies I'd done. In fact, I had done one with Pamela Sue Martin a couple of years before (1974's Our Time) and she ended up being Nancy Drew. So, I think that was the connection for them. Parker Stevenson and Shaun Cassidy. Café: How did you and Shaun Cassidy get along on the show? PS: Great. He's really an easygoing guy and his sense of humor is like mine. That's probably why we got cast together, because we just liked each other. Part of what the show was about was two brothers who actually get along and get into trouble together. I'm still in touch with Shaun. He's still a good friend. Café: Had you read any of The Hardy Boys books or seen the serial from The Micky Mouse Club? PS: I hadn't seen the serial. I was familiar with bits and pieces of the books, but I hadn't read them. I was really late getting started on my reading, which now I'm crazy about. But in those years, I wasn't much of a reader. I discovered the books really doing the show. Café: How did you get cast on Baywatch? PS: I did a movie called Lifeguard with Sam Elliott and the producers thought I might be okay playing a lifeguard (laughs). Really. Café: You've appeared in a number of popular series like Melrose Place and Falcon Crest in addition to The Hardy Boys and Baywatch. Out of all your TV series, which one is your favorite and why? With Ashley Crow on Probe. PS: My favorite was Probe (1988), which I did for ABC. It ran a year. I loved the show. It was Isaac Asimov's Probe, so it had really trippy interesting stories. It was up against The Cosby Show or something, so it struggled in the ratings. It was the closest to me in terms of how I think and what I'm like in real life. Café: I recently came across your photography website parkerstevensonshadowworks.com. How did you become interested in photography? PS: I was one of those kids that had a Brownie camera and was always shooting. I'd take pictures of my friends or just doing goofy things in the backyard. By the time I was 14, I was shooting weddings for people, which was really not a good idea (laughs). They liked my pictures. I delivered and was responsible. Then, I hit a point where I didn't want to shoot people anymore. I felt too intimidated. Even if you just walk up and shoot someone, you feel like you're imposing and invading. My photography shifted to architecture, landscapes, and still lifes until about 15 years ago when some friends asked me to shoot them. I shifted all the way back to people again. Portraits are what I shoot the most now. Café: You recently appeared in an episode of Longmire, so what's the secret to Parker Stevenson's lengthy career? PS: I asked Burt Reynolds a similar question years ago. The question was: "Burt, you've been the #1 box office star for ten years now and you have this sort of Cary Grant ease about you. How have you managed to maintain that?" He said: "There are a lot of guys that are better looking or more talented than you or I, but they didn't hang in there." I took that to heart. I always wanted a career where I could keep working and trying new things and working with new people. 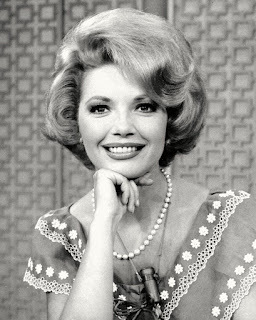 I wanted a Jimmy Stewart career, not a huge, hot, short career. So, Burt's advice that you've got to hang in there is the answer. Café: Do you have any upcoming films, TV roles, or convention appearances that you want to share with our readers? PS: I'm doing a play in L.A. in later July called Chasing Smoke, which hopefully will have a long run. I love the script and it's close to my heart. Hopefully, I'll be back on Longmire. It looks like I might be. And I will be at another convention, the Hollywood Show, in Chicago on August 15-17. Café: Thanks so much, Mr. Stevenson. PS: It was my pleasure. He still makes me gooey too! He and Shaun were a great team! 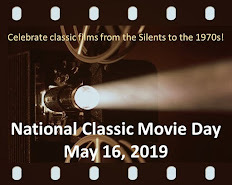 Rick, I really enjoyed reading Parker Stevenson's interview. I don't remember "Probe" but I like the name, Isaac Asimov, and the fact that it was Mr. Stevenson's favorite work. I did check out his website and really enjoyed looking at his photography. He sounds like a multi-talented gentleman and it was very kind of him to do an interview for the Cafe. Great job! It didn't even get to the point of renewal...the writers strike of 1988 started the very day Probe premiered. Probe ran out of content in 7 weeks. Against the top rated show on TV, The Cosby Show, it didn't stand a chance, especially when Cosby Show and A Different World writers made a special direct agreement to work and those shows resumed production in May...check out my Forgotten TV podcast for more on Probe! I have followed Parkers carrier since I was about 10 yrs old. The first time I ever saw him was on a commercial for a shampoo and I melted every time I saw it.I would splash down in front of the TV and glue my eyes to it and refused to allow anyone to change the station.My family teased me and said I was Mr Shampoo Guys girl �� and I would say Ohh yes I am gonna marry him some day! At the time I didn't even know his name so I was ok with Mrs Shampoo as my future title. Then I found him again when he began The Hardy Boys,I then became Mrs Parker Stevenson LOL �� . I've been a fan for years and intend to be for many more . Thanks , Mrs Parker Stevenson �� LOL. Great interview, Parker is quite the character!